Sunday morning breakfast is a time I look forward to. It usually means heating up the waffle iron, cooking bacon, and frying eggs. Why not take all of those delicious breakfast flavors and combine them into one great dish? 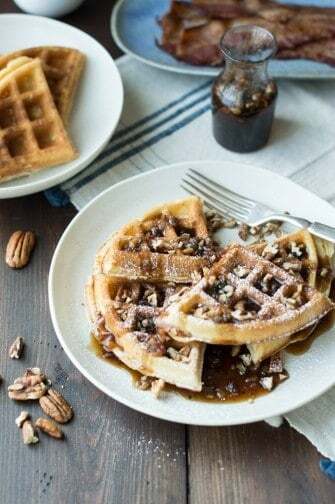 These pecan waffles with maple bacon compote fit the bill, providing a decadent weekend indulgence fit for a king. We were not counting calories here, which is why this dish is perfect for fall. The bikini is neatly packed away, and sweater weather is on the horizon. Nothing like a warm cozy sweater to hide any signs of indulgence. We generally make an effort to make our recipes as healthy as possible, but every now and then we throw caution to the wind. 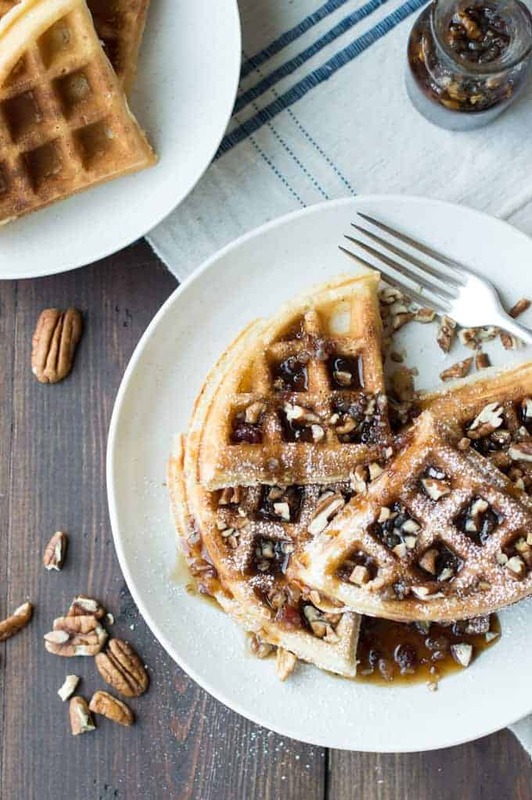 One bite of these pecan waffles will make you feel so happy inside that you will forget about those calories. Jackie likes to skip breakfast all together on the weekends and opt for a “proper brunch” (as she likes to call it) around noon. This is a common New York practice, as I quickly discovered. The two-meal-a-day plan is what we adhere to most weekends. 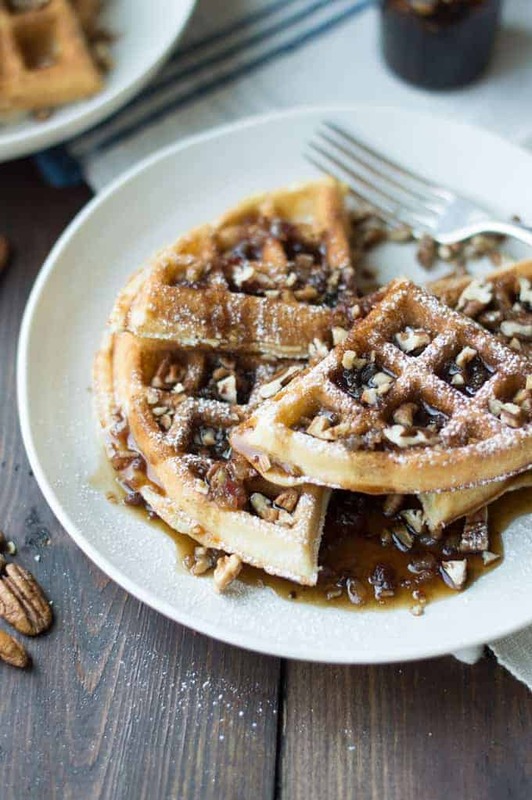 These waffles are light and fluffy on the inside and crispy on the outside. 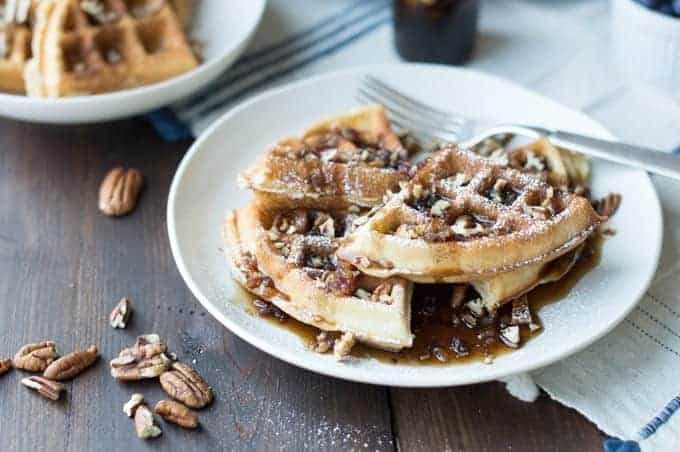 I always love the combination of sweet and salty, and nothing illustrates that better than maple syrup and bacon. The only issue I have when working with Jackie is having to wait to indulge in the food until she is finished shooting. My girl is a perfectionist, which is why I snuck a waffle for myself before handing off the finished dish to her to photograph. This one just smelled way too good to wait. I always tell Jackie she needs to have confidence in her abilities, and these photos perfectly illustrate my point. We will definitely be framing one of these to hang in our kitchen. In a bowl, combine both flours, baking powder, sugar and salt. In a separate bowl, whisk eggs, and milk, butter, vanilla and almond extract together. 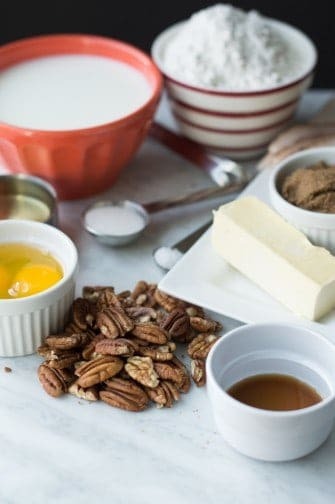 Add chopped pecans and fold into batter. Spoon into hot waffle iron and cook until golden brown. 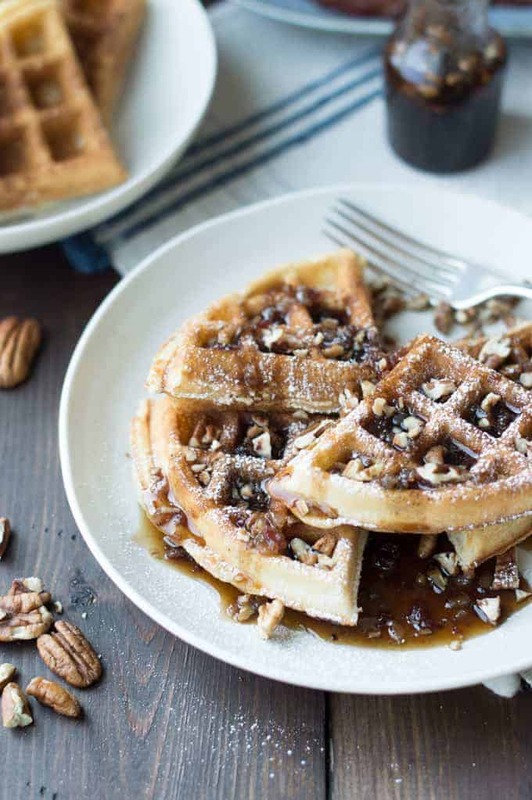 Do not drain, Add the brown sugar, maple syrup, and salt and cook over low heat until sugar has melted and product thickens to resemble maple syrup. Remove from heat and add pecans. 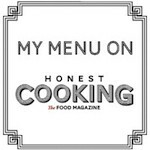 Thanks so much, we hope you try this, it was amazing!!! !